What a week. Valentine, our anniversary and a voluntary task getting out of hand. I had to make tons of stickers for a charity and got a bit caught up in it. 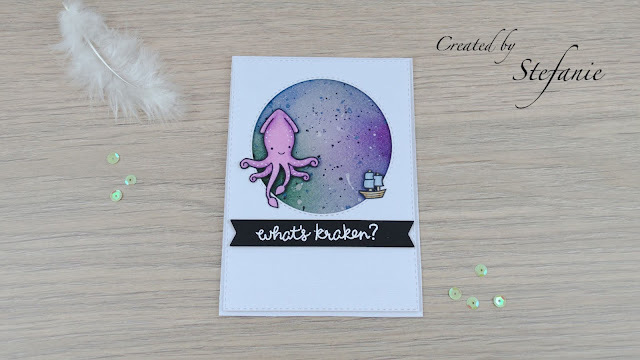 So My craft of the week is yet another quick and easy card. I used the Grumpy Cat version of the Katelkraft stamp set KTZ152 (still not a really nice name or easy to remember or anything. Perfect to enter the Addicted to CAS with the theme Cats and the animal theme from Scrapping 4 Fun Challenges. I added the Smile stamp from Kaisercraft "Shine Bright" set and layered everything with some framelits from Crealies and one from Aliexpress. Last step, I added some purple eye catchers in form of some buttons and twine. Nothing fancy, but I like the simple outcome. Stunning card. The cat looks so cute. Love the way you framed Mr. grumpy cat! Thanks for joining us at ATCAS. 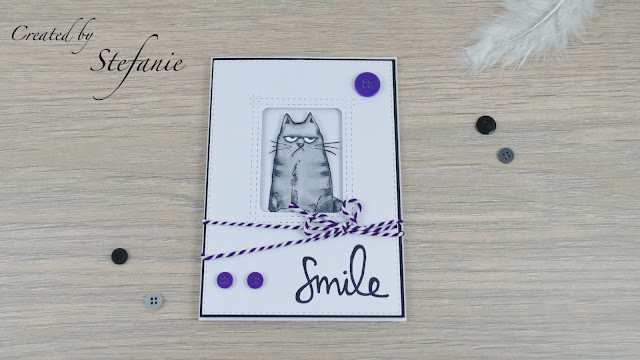 Adorable card, i like the cat and the frame.Thanks for joinig us at Scrapping4fun. So nice and cute card! Thank you so much, Stefanie, for joining the challenge at Scrapping 4fun Challenges that we are sponsoring! Good luck with your entry! That face just cracks me up, Stephanie. Thanks for sharing Grumpy Cat with us at Addicted to CAS.